Dr. Socorro Brito de Anda, president of the Lydia Patterson Institute, visited churches in all six Districts of the Louisiana Conference during her visit to the state Feb. 10-13. 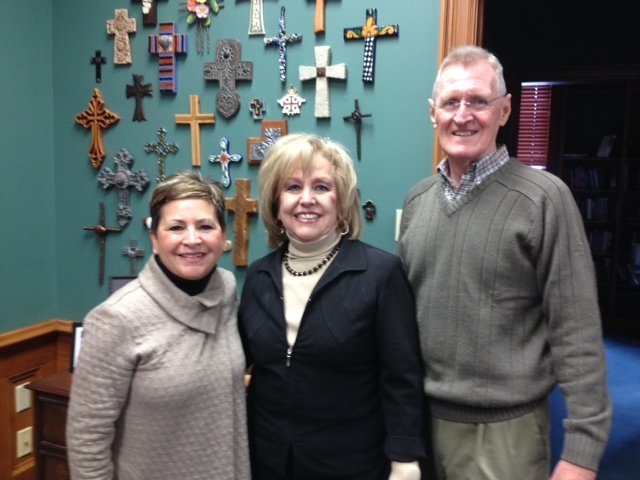 She is pictured with Bishop Cynthia Fierro Harvey and Rev. Don Cottrill upon her arrival in Baton Rouge. The Lydia Patterson Institute is a United Methodist nonprofit institution of learning dedicated to providing quality bilingual cross-cultural academic education.